Illinois has 327 designated opportunity zones, all of which are low-income communities. Illinois did not designate any eligible non-low-income contiguous tracts as opportunity zones. 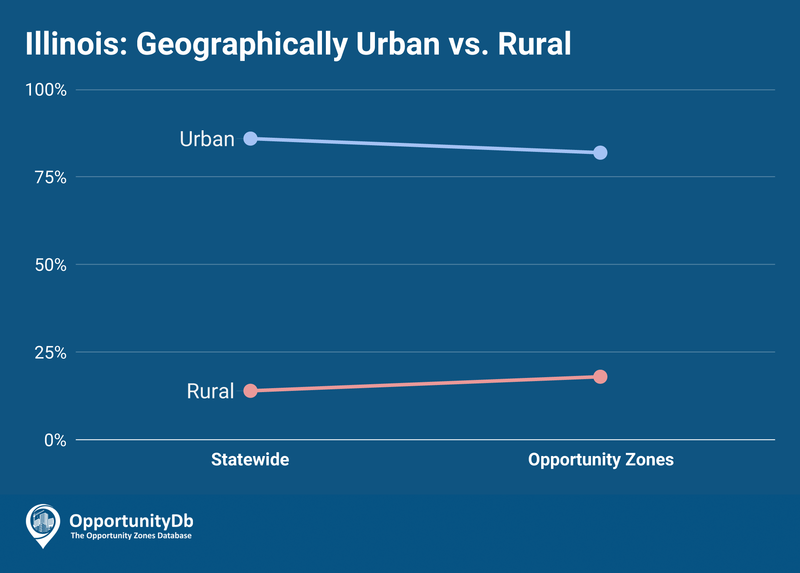 While the vast majority of Illinois’ opportunity zones are located in urban areas, the state’s rural-to-urban ratio is slightly higher among its opportunity zones than it is statewide. Rural areas account for 18 percent of the state’s opportunity zones, but just 14 percent of the statewide total. Over 40 percent (133 of 327) of Illinois’ opportunity zones are located in Chicago, all of which are on the city’s west and south sides.